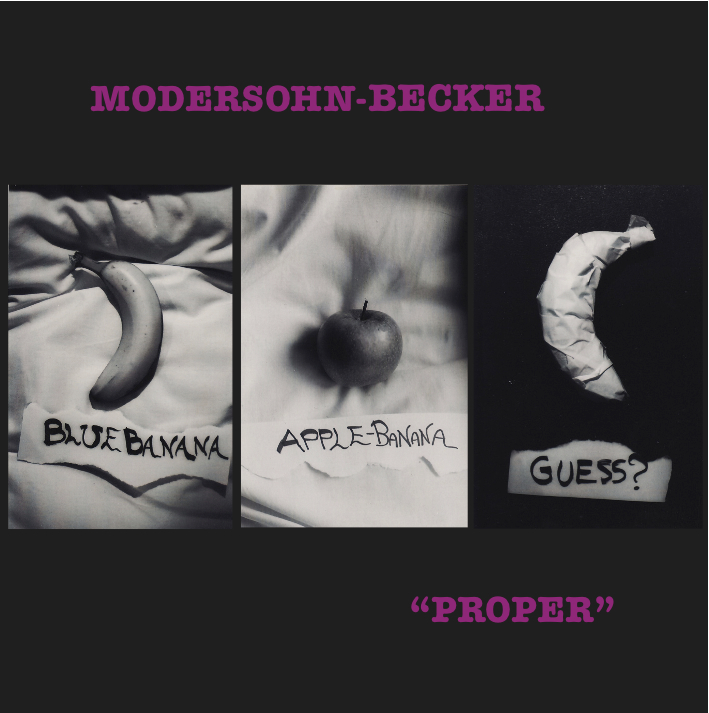 Here’s another Modersohn-Becker track I just made. I’m just going to keep making tracks and posting them here, and try not to think about whether they are good or not… just keep making and posting. Hopefully some of you enjoy these! Modersohn-Becker‘s been up to no good again and this is the result. I have resuscitated Modersohn-Becker and would like to regularly begin posting new DIY tracks. Originally I wanted to make this a weekly occurrence, as an exercise, so that I would have to keep creating tracks rapidly and simply without dwelling too much on my insecurities or seeking perfection. Unfortunately, knowing myself, being tied down to a weekly schedule might make this endeavour become more a source of stress than liberation or pleasure… so I would rather call this a “regular” occurrence than a weekly one. This way there won’t be any “musts” or “shoulds”. I will do my best to post regular, “imperfect” tracks, though. Here’s a track I made for an upcoming free compilation of music by artists employing ‘the art of Wabi-sabi, that is, “the art in imperfection”‘ and who find ‘the beauty in broken things’ (how very M-B!). Despite having several gigs and performances under my belt (too many to list or even remember – I lost count many years ago), I haven’t been making music nor performing live as a musician or vocalist for that long (unless you count playing clarinet in a small town’s marching band when I was 12-14 years old). Before 2007 I had only participated in a handful of performances, and was disappointed with pretty much all of them. To others, what I did in those performances looked and sounded “fine”, but to me… it felt like a prison, I felt I wasn’t being me. I was very depressed at the time, and isolated, and had this desperate need to express myself, to make contact in some way with the world. I felt music could be my outlet, my way to reach out and connect. What I had done in the handful of times I had performed felt wrong to me… I felt trapped, I felt as If I were enacting someone’s idea of what a girl singing in a band (I was only singing, then) should sound like and do. I desperately tried to sing melodies, my voice choking up with anxiety and my breath drying out… verse, chorus, verse, chorus, repeat, repeat, repeat (…is the song long enough? Should I keep going?) and end (and breathe). After each performance I didn’t feel relieved, I felt ANGRY. Angry at myself for wasting an opportunity, for feeling so close to it, yet being unable to just… let go, to do something that others might laugh at, something that might be weird, off tune, ridiculous, wrong. It wasn’t fear of doing something different that scared me… it was fear of not being able to do it in a way that would make others accept it –for example if I tried to vocalise in a certain way but would not be able to control my voice the way I wanted due to lack of “talent” (that mythical, hateful beast) or training and that something else would come out instead, something “wrong”. I felt that in order to be able to do what I wanted I had to first prove that I was doing it intentionally, and not just because it was all I could do (even though I might like the results either way). I felt I had to prove I could do the “right” thing in order to be “allowed” to do the “wrong” thing. I wanted to show my inner self, but I wanted for it to be accepted, I didn’t want to be dismissed. So I felt I needed to find a way of justify whatever I might do, to get “permission” to do it. Therefore… I found it very hard to do anything. Not only was I frustrated with my inability to let go and be myself in performance, but I also desperately wanted to create my own music, independently of others, rather than guesting in other people’s bands. Once again I felt that because I couldn’t play what others might consider a “song-writing instrument” (like a guitar, or a piano, for example), or even use music software, that there was no way for me to create music. It’s hard to explain my frame of mind at the time… but basically I felt completely stuck and helpless… I didn’t know where to start, or that I could ever learn to do any of the things that might allow me to create my own recordings. Every time I would try and learn I would come to a hurdle, and think that there was something inherently wrong with me for not being able to already know how to do things. But then things in my life got even worse, and the need to have some sort of outlet overshadowed my feeling that I had “no right” to do anything, that I would never learn, that I did not know how to do things “the right way”. So starting from approximately 2005 I began secretly creating tracks as Modersohn-Becker. These were incredibly lo-fi affairs: I had no knowledge of music technology or software, and hardly any equipment was available to me. I felt incredibly self-conscious about recording, so I would create my tracks sneakily, in a couple of hours, when I was sure I was alone in the house. I just had a desperate need to express myself… somehow. At first these tracks were made just for myself, as a way to relieve my frustration, but then I gradually and anxiously began uploading some of these to social networking sites in order to get over my insecurity. Because in the end what I wanted was to make a connection with the outside, to know that I existed. For most of these early M-B tracks, I used Windows Recorder and a decrepit, taped-together old plastic microphone (later on I tentatively began using free Evolution software, but I had no idea what I was doing as I had never used any music-making technology before). I recorded mostly acappella and in one take, without editing the results as I had no way to do so. I had no mixing facilities, and mostly no effects available to me (bar some reverb on later tracks, when I discovered it was available, and how to apply it). All I did was record myself with Windows recorder, then open and play the recorded file whilst recording myself again in another Windows recorder window, so as to create a new recording. These “takes” would end up blended into one single mono track, which could then not be split into its parts again. I would keep repeating this process of playing/recording over the played file until I created several layers of voice. These recordings were the computer-user equivalent of a child playing with two tape recorders, making layers by playing from one whilst recording to the other. Here are some mp3s of some of the tracks above, should you wish to own your very own copy. The reason I am posting all the above is that I love this stuff (yes, I finally said it!). And I still make it (although far too sporadically now). And I STILL do not quite know what I am doing, even after graduate and post-graduate qualifications in sound-related (though non-technical!) fields. This is me at my purest, in a way. This is what comes out. In early 2007, at around the same time I had begun posting my M-B tracks online, I also started to regularly meet up with my friend Smike Bardwell, who had been recording as Earth Creature for several years with intermittent collaborators. Now on his own again, he had wanted a vocalist to join up and we had hit it off musically after a first improvised gig (my first time completely improvising!). Other than my improvising, that first gig felt no different to all the other gigs I had taken part in before – I felt constricted by my fear of doing something “wrong”. But I stuck around because Smike was my friend, and I liked what he was doing, and I felt accepted by him, that he wouldn’t freak out if I experimented a little, and that I could perhaps begin to let go. That was the first of many EC gigs. Smike and I have been a due since then, though things have changed a lot and as well as providing vocals, these days I play a variety of things (contact mics, polystyrene, theremin, saw, mixer and pedals, anything or anyone at hand…) and Smike has taken to using a bass in live performances, on top of his usual electronics and samples and bits and bobs, but in the future things may change again. Since that 2007 gig I have played countless gigs with countless different outfits in countless different situations. I taught myself to play the theremin, and have become adept at free improvisation. EC led me to live performance and improvisation, and M-B led me to go to university to study Sound Art. Part of me, after several years of academic study in a sonic field, feels that I should hide my DIY music-making, because it’s too instinctive, too imperfect, laughable, because it displays my technical shortcomings… but this music is ALSO me, and I now refuse to regress and hide again, so here it is, because this too is my practice. And you know what? I love its imperfection, its instinctiveness, its silliness, and its lo-fi aesthetic. And since now I have a little bit more time, there will be more – watch this space.